A pure clean boost that just makes everything you do sound better. 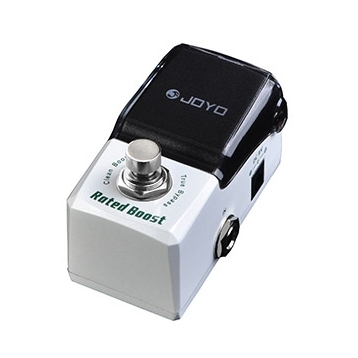 ?12dB active low/high EQ, Depending on the guitar the RATED BOOST can deliver a little bit of drive for great open chords.A pedal to turn on and never turn off again. The Little Blaster sounds dirty and mean, but never loses its clarity. It just cuts through a mix like a knife a leaves ample room for the bass player to do his job. 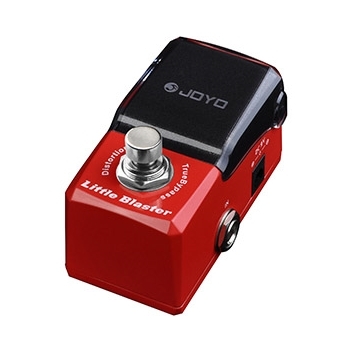 When it comes to rock and punk rhythm work, the Little Blaster delivers. The Time Magic is an analog sounding digital delay with all the great characteristics of a bucket brigade delay line (BBD). With its 600ms of maximum delay time and feedback that can be pushed into buildup, you can achieve a wide range of your favorite delay sounds. With the OLD SCHOOL, the name says it all. Drawing its classic rock tone from a 2n3904 transistor, this tiny instant classic has a wide range of gain settings. With 30dB of low mid boost it can make even the smallest amp sound like a full stack. 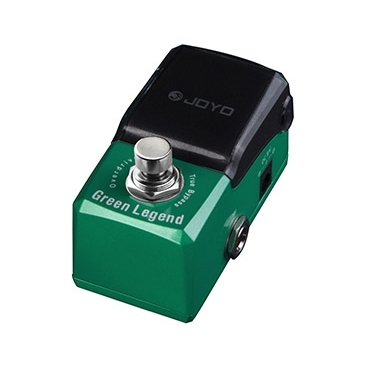 One of the great characteristics of this pedal is the fact that is paints ever nuance of your guitar beautifully. Single coils sound like single coils at every gain setting. The old school enhances your setup and doesn’t mask it. Isn’t this what a great pedal should be doing. For many guitar players, Chorus is that cheesy effect from the 80s. True, but it can also widen your guitar sound, bring it to the front of the mix and give your clean sounds a lot more depth. The FUTURE CHORUS is a subtle analog chorus that never sounds ?too much“. even in extrem settings, every sound you dial in stays fully usable. So if you are looking for crazy, wobbly chorus sounds, keep looking, but if you need a beautifully transparent chorus that works in many situations, the FUTURE CHORUS is for you. 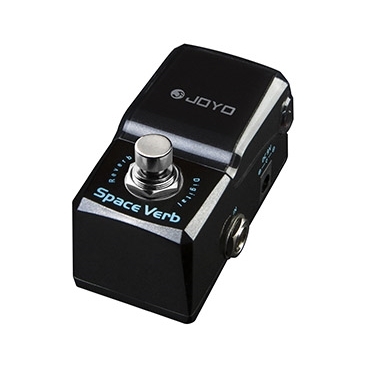 The Space Verb gives you access to four classic reverb sounds: ROOM / HALL / CHURCH / PLATE. Each of the modes has been crafted to give you the truest representation of that space. We took specialcare in making sure sure that the reverb does not supplant your guitar sound and get in the way. The Space Verb is 100% loyal to your original tone and simply adds another dimension and give your guitar sound more depth and inspired playability. Green Legend packs the classic TS circuit in a very small pedal.We packt a photoelectric tube overdrive channel that sounds warm and natural into a tiny pedal. When connected to a tube amp, this pedal will push it and overdrive a clean sound or push your drive sound into crazy territory. Of course we added True Bypass to minimize tone loss. 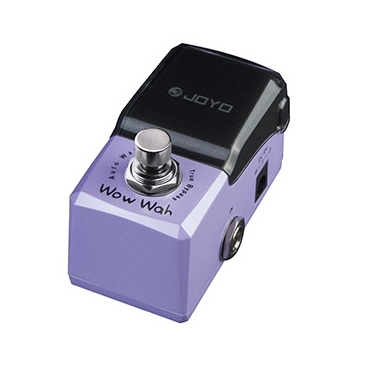 The Wow-Wah is an auto-wah with a wide range of sounds. It is extremely dynamic. With its 4 controls (Sensitivity, Bias, Resonance and Decay) you have your personal sound at your fingertips. The filters dynamics will surprise you and your sound will spring to life when you engage the pedal. If you feel a bit stuck in your playing, try adding a new element to your music and give the Wow-Wah a try, you won’t regret it. Of couse it has true bypass! WoodenSound is set to impress with its simulation of an acoustic sounding guitar. Turn your electric guitar into an acoustic one at the press of a button. 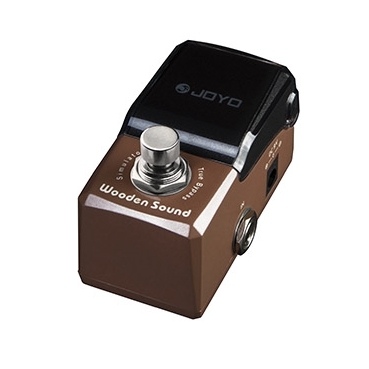 With the latest mini pedal from JOYO the Wooden Sound Acoustic Simulator effect expands the range of your guitar tone without swapping out your guitar mid track, or compensating on the mix. With four controls, one each to adjust the High, Mid, Bass and Volume levels you can dial in the exact tone that you want. 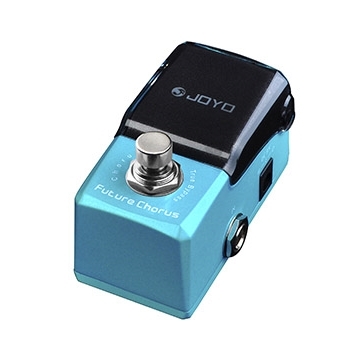 An amzingly nice pedal that punches above it's price range. Unlike a lot of acoustic simulator pedals this one actually sounds like you are playing an acoustic through a PA rather than just sounding thin and trebly. Add some reverb, delay and chorus and you've got a perfect acoustic sound without having to swap guitars midway through your song. 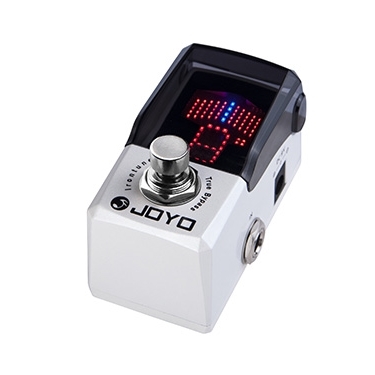 A pedal that's sure to leave other guitarists asking how you did it! The Irontune is a high precision pedal tuner in the most compact design and can be used for guitar or bass. The advanced technology has an accuracy of +/- 1cent and reacts really fast. The semi-transparent flip-top design is different than the other Ironman pedals and clearly let the display shine through. The illuminated LED display is easy to see in any light condition. The Irontune brings tuning precision and high sensitivity together in an incredibly small enclosure. A True Bypass circuit minimizes signal loss.